Combine three outdoor activities for the ultimate adventure! 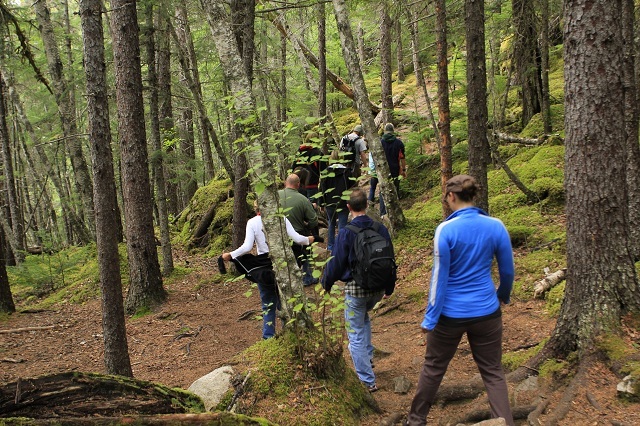 This is a perfect tour for those seeking to spend their time outdoors in Skagway. 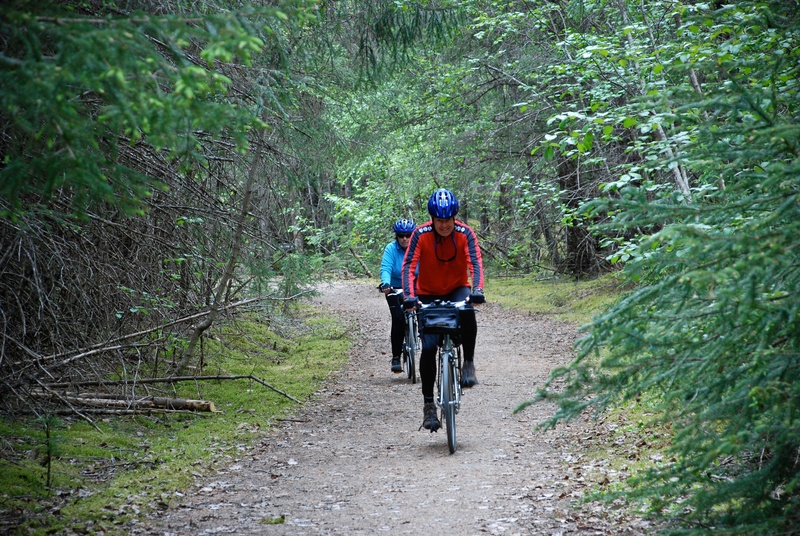 Bike through the rainforest, hike on the historic Chilkoot Trail, then enjoy a leisurely float down the Taiya River! 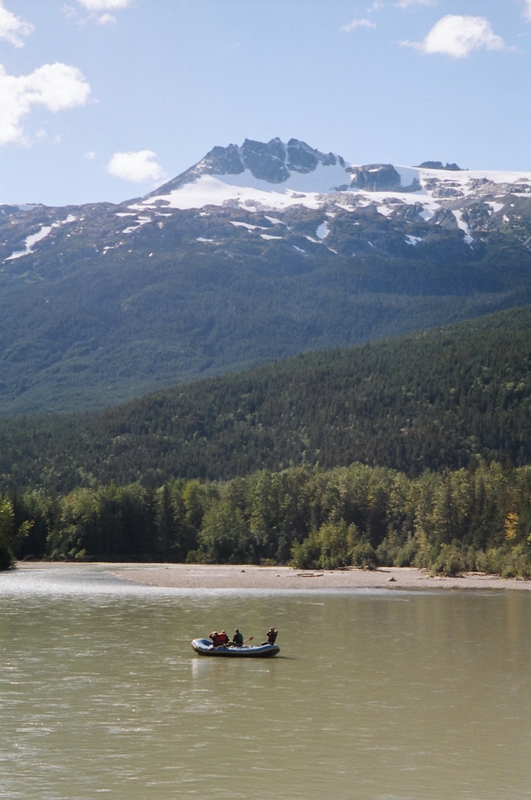 The Skagway Triple Adventure is the ultimate outdoor experience! 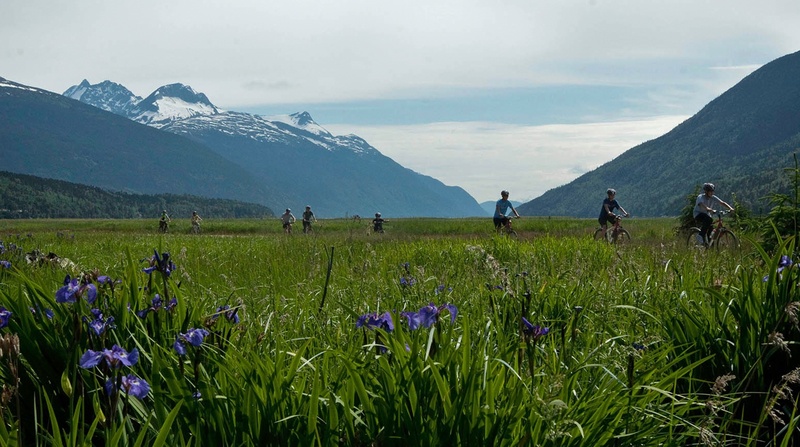 You bike through the coastal temperate rainforest onto the tidal flats, hike the same Chilkoot Trail as the early goldrush prospectors, then float down the glacial-fed Taiya river on a relaxing raft journey. The tour begins with a 20-minute narrated van ride to the historic site of Dyea. Where once there was a famous goldrush town of 10,000 prospectors, now nature has reclaimed the land. Your guide fits you to a bike and escorts you for five miles of easy pedaling on flat dirt roads with stops at historic and nature sites. Search for eagles and view colorful wildflowers while enjoying the beautiful mountain vistas as you pedal along. At the conclusion of the bike segment you meet your guide for the two mile hike on the historic Chilkoot Trail. The first mile is up and down over uneven terrain with the second mile being relatively flat. You stop often to learn about the area, take photos, and quench your thirst. The hike ends at the bank of the Taiya River where the rafting segment of your adventure begins. You are outfitted with rubber boots and a life jacket. The river has no whitewater. This relaxing float is the grand finale of your amazing outdoor experience. Watch for bald eagles diving for fish as you float along, or glimpse a river otter sliding off the bank. At the conclusion of the raft trip you are transferred by van back to Skagway. 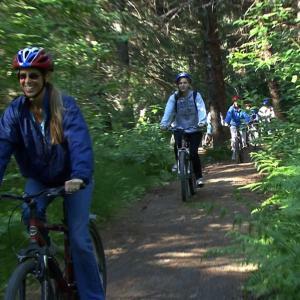 Combine three different outdoor activities: biking, hiking, and rafting. Explore off the beaten path, with one of only a few companies permitted to lead tours in Dyea. 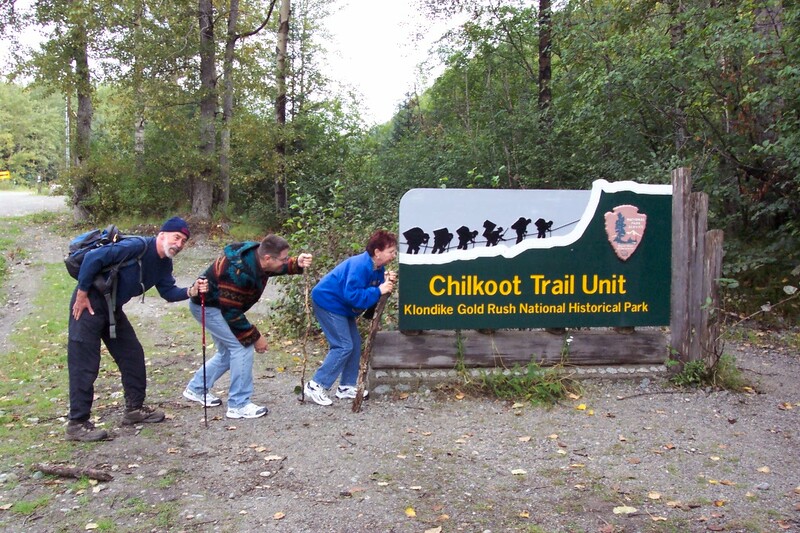 Walk in the footsteps of the 1898 gold rush stampeders on the Chilkoot Trail. Notes: Participants must be confident riding a bicycle with handbrakes along approximately five miles of flat, dirt roads. Helmets are required. You must be able to hike 2 miles up and downhill on uneven terrian. You must be confident getting in and out of a raft. You must be at least 10 years old and 4’6” of height. Sport shoes and layered clothing are recommended. Helmet, rain/wind jacket, pants, fleece gloves and rubber boots are provided. Tour time may vary depending on the groups fitness level. A snack is included on this tour.